Rodrigo Hilbert is a Brazilian Tv host, model and actor. His audience identifies with him through his charismatic personality, allowing him to be a trendsetter in a unique way. Despite being a celebrity, the bond created by Hilbert with the audience surpasses such formalities without losing what makes him exceptional. 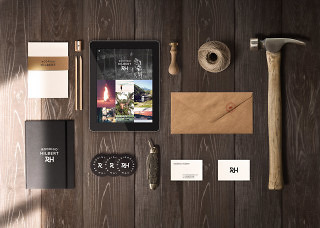 From this multifaceted image and personality emerged the challenge of combining authenticity, elegance, rusticity and simplicity in his branding. The path we chose balances sobriety and fun. 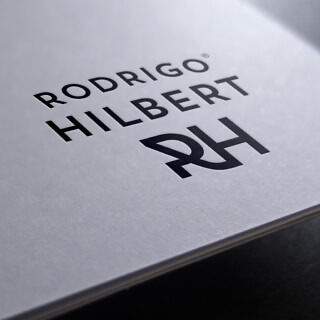 Our goal is to reinforce the warmth in Rodrigo’s image without losing Hilbert’s strength. 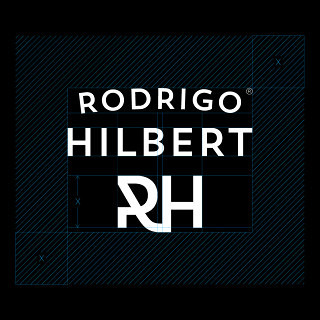 Creating a logo capable of transforming into many formats in order to adapt to various possibilities (and by this never to impose limits) to Rodrigo Hilbert’s brand was quite a challenge. We managed to create one that fits multiple angles and applications. Rodrigo didn’t have an official webpage to consolidate and establish his online presence. The first briefing described a trendsetter personality, so we decided to take it to the letter by innovating through the format : instead of portfolio site we proposed a Tumblr. This contemporary platform turned site into a direct channel between Rodrigo and his audience. Celebrities with an official Tumblr account are almost unheard of in Brazil, but abroad it has already drawn Beyonce’s and Jaden Smith’s attention. The network is booming and is considered to be growing most. 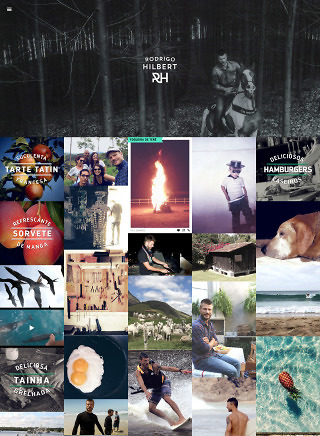 From June to November in 2014 its activities grew 120%, which is ideal for viral content. We developed a looping storytelling theme. Reorganised for each access, the audience faces a mosaic of life experiences and proposals by Rodrigo through first-person narration. The social network structure allows him to post at any given time, even from his mobile phone. As for the content we really wanted to step outside of the box. Everybody knows the model and actor Rodrigo Hilbert, but what about finding out what his favorite dish at Maní is? Or getting to know the house that he built himself? 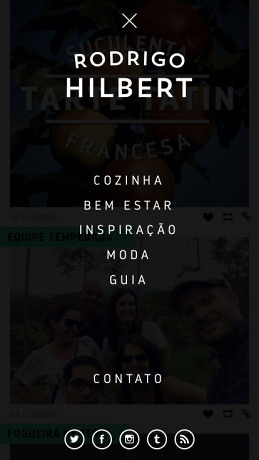 Follow him in a ride in the Santa Catarina sierra… This strategy allows interaction between broad themes – Cooking, health, inspiration, fashion and tips. – present in his daily routine. 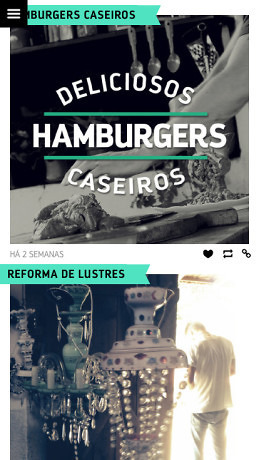 From a thorough curation with Rodrigo, content was chosen and crafted for the site’s launch. From then on, Rodrigo himself with Pixelfordinner’s consulting produces the content.